ONLY 225 whales teeth or tabua are allowed to be traded or exported this year. The Department of Environment announced that as an endangered species the trading of whale or parts and derivatives of whale is restricted under the Convention on International Trade in Endangered Species (CITES). 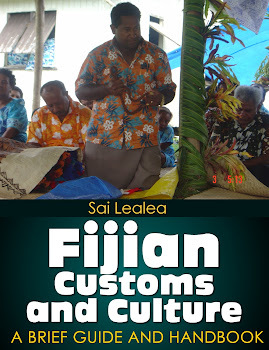 "Considering the cultural significant the tabua has for the indigenous people of Fiji, the Fiji Islands Management Authority and Scientific Council allowed for the trade of tabua for personal and household effects," a public notice said. "This is limited and controlled by setting a yearly quota on the export of this commodity, a requirement under CITES. "For 2010 the quota is 225, this quota is further distributed into monthly quotas to allow for equitable distribution throughout the year." For the first quarter of this year 62 tabua are allowed to be traded, 50 can be traded in the second quarter, a further 50 can be traded in the third quarter and 63 for the final quarter of 2010. The notice said people intending to export tabua were requested to acquire an approval letter from the Ministry of Indigenous Affairs.